Welcome to the Cathedral Members page! Here you can make a flower dedication, check the service rota, and more. If you are a pledging member, sign-in below for access to the directory, association documents, and to renew or pay your pledge (please note that if you have just signed up, your pledging-member access may take a few days). 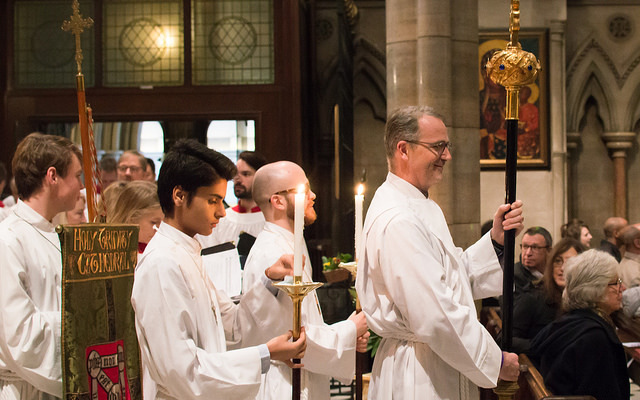 If you are a member of a liturgical guild, please click below to access the rota. You will need a username and login. For more information, please contact parish.coordinator@americancathedral.org. Read here for the dates and times of Vestry, committee, ministry, and support group meetings. Help keep the Cathedral altar decorated in full bloom by dedicating flowers in memory of someone; in honor of someone; in honor of a special birthday, anniversary or other event; or anonymously. Please fill out the form below. We are happy to accept any amount, but suggest a minimum of 25 euros. More than one person or family may dedicate flowers for a Sunday. Thank you for your generosity!